The Twin Dilemma originally aired in 1984. Whatever else happens, I am the Doctor, whether you like it or not. Some mistakes only seem obvious in hindsight. Some errors are easy to judge with the weight of experience and history behind you. Some calls are easy to dismiss and ridicule retroactively, completely divorced from the context in which they were made. Of course, some mistakes should have been blindingly obvious when they were made in the first place. Go on, guess which one The Twin Dilemma was. Time and the Rani originally aired in 1987. Right, that all seems quite clear. Just three small points. Where am I? Who am I? And who are you? A Doctor’s first story is always difficult. Even if it’s not as explicit as it was in Power of the Daleks, the new actor his constantly fighting against the weight of expectation, trying to cast off the spectre of their predecessor and make the show their own. There’s also a sense that the production team is trying to reinvent the show around their new lead. It’s transitional, and it’s not too difficult to see how the task could be daunting. If that’s a typical first story, imagine how frustrating Time and the Rani must have been at the time. Hastily cobbled together in a rush, coming out of a season that had been a spectacular failure and with the shadow of cancellation looming heavy, there’s a lot of pressure on Time and the Rani. It is a story that is routinely trashed and mocked, and perhaps deservedly so. However, I must concede, it’s not as bad as it could have been and I’d be very reluctant to rank it among the worst Doctor Who serials of all time. He’s got an umbrella and he’s not afraid to use it! The Trial of a Time Lord originally aired in 1986. In all my travellings throughout the universe I have battled against evil, against power-mad conspirators. I should have stayed here. The oldest civilisation, decadent, degenerate and rotten to the core. Ha! 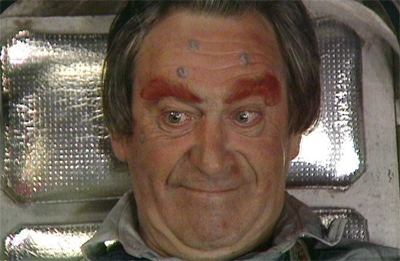 Power-mad conspirators, Daleks, Sontarans, Cybermen, they’re still in the nursery compared to us. Ten million years of absolute power, that’s what it takes to be really corrupt. There really are no excuses for the mess that The Trial of a Time Lord became. I mean, seriously. The producers had eighteen months to plan everything out. The task shouldn’t be that difficult. If you are going to fictionalise the persecution of Doctor Who by the BBC in the form of a trial, you really should have some idea what you plan to do or say at the end of it. If your fourteen episode season-long story arc is about defending a show that is coming close to cancellation, then perhaps it might be a good idea to be able to tell us why it shouldn’t be cancelled. 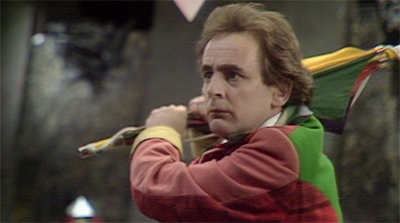 The Trial of a Time Lord is a gigantic mess, and something that makes a stronger case in favour of Michael Grade’s attempts to cancel that show than it does against them. The Ultimate Foe isn’t as soul-destroyingly horrible as Terror of the Vervoids, but that may be because Pip and Jane Baker only wrote half of it. Mmm. This is a situation that requires tact and finesse. Fortunately, I am blessed with both. Okay, so the “past” and “present” sections of The Trial of a Time Lord haven’t been blow-outs. 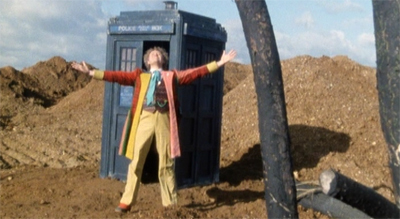 The Mysterious Planet demonstrated that maybe, once upon a time, Doctor Who had been decidedly average, constructed of a checklist of familiar and inoffensive tropes. Mindwarp demonstrated that Colin Baker’s Doctor was the kind of character who you could probably imagine chaining his companion to a rock on the beach, before leaving her to die… or marry Brian Blessed… or something. But, hey, there was some social commentary! If The Trial of a Time Lord is constructed as a defence by the show to avoid being sentenced to the bleak nether-realms of cancellation, I have to confess that I’m not convinced. And I like the show to begin with. Still, it’s not a total failure. I mean, whatever the show was or is, it can always be something better, right? 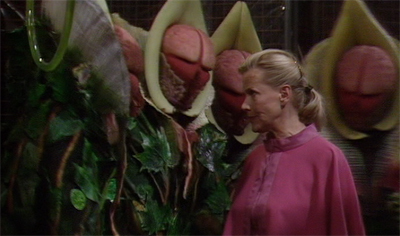 And so, this final story, Terror of the Vervoids, could easily prove that the show has a very clear idea of where it’s going next? The future will be better tomorrow, and all that?